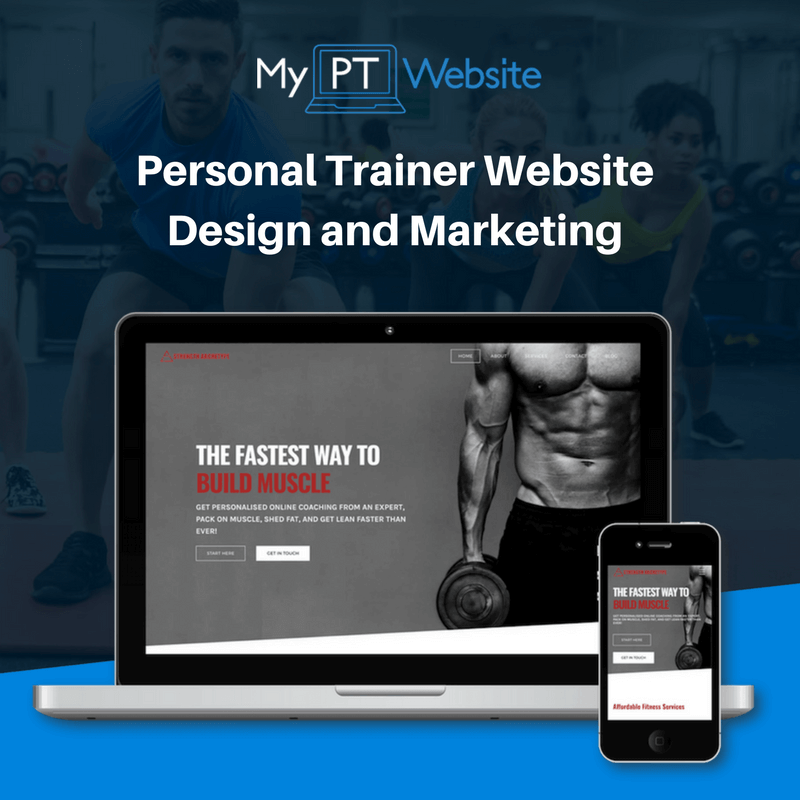 In this guide we'll talk about the importance of a personal trainer website and outline some personal trainer website design tips for you. Local marketing is especially important for personal trainer businesses like yours. Without it you’re just a really cool dude in a gym with a load of personal trainer certificates. A successful personal trainer uses specific marketing strategies to engage new and potential customers related to their specific niche. I don’t know about you, but I can’t go sit on the toilet without taking out my phone and browsing Facebook. A huge percentage of your potential clients search online to learn about your products and services. 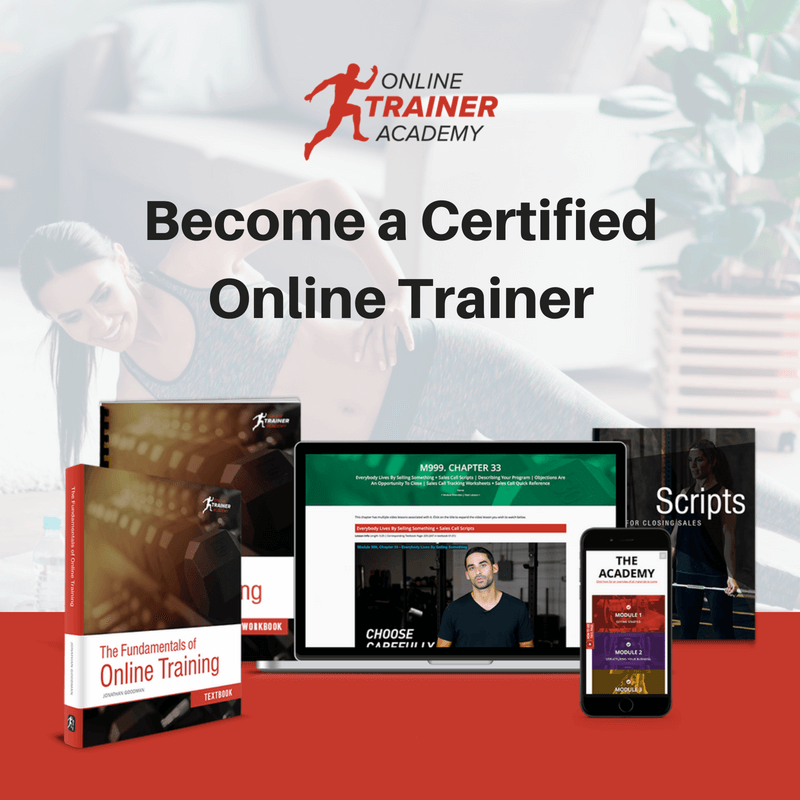 Successful PT’s are now capitalizing on this by building websites, writing blog posts, Facebook posts and generally putting themselves out there! Marketing yourself as a personal trainer will help you to increase your credibility, give you stronger access to the local market, improve your brand loyalty and increase your personal trainer business revenue. 54% of Americans have substituted the internet and local search for phone books. Without a mobile presence, you are essentially neglecting or potentially insulting HALF of your target demographic. As much as 43% of Google Search traffic has local content. Data like this makes it clear there's a lot of money to be made if you learn to market yourself effectively online. And while lots of people might be talking about it, very few can really teach you how to productively use Local Marketing on behalf of your business. A personal trainer website is now absolutely essential to the success of your local marketing strategy. Clients are now searching for personal trainers online and if you aren’t online, you’re missing out on a massive audience of people who you don’t have to sell to! Do it yourself website builders like 1and1, Wix, Wordpress and Weebly will definitely help you build a website fast and for not much money. However, a quick word of warning: getting a website done on the cheap will often results in a major reinvestment down the line. A website alone does not mean you’re going to get new clients. There are so many variable that dictate the success of a fitness website and just having one isn’t enough. 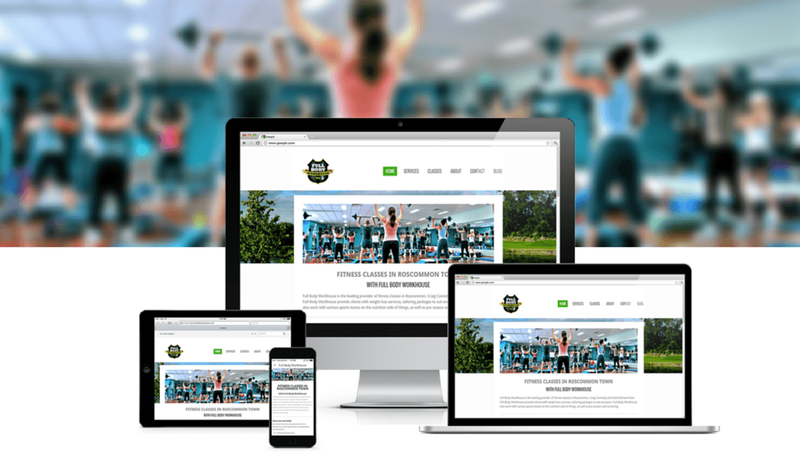 It might not seem like it right away but investing in a good website designer who has a clear understanding of fitness marketing will pay dividends in the long run and create a really online asset for your personal trainer business. Think of it like this, if you want your car fixed, you go to a mechanic, right? Because you want your car to work. So why, when it comes to one of the most important aspects of your business marketing strategy, would you do it yourself... Jus’ sayin’. You'd be pretty upset, right? If you want your clients to invest in you, you need to invest in yourself and your fitness business!! Tip #1: Provide an online free service: Providing a free service on your website is a great way to create brand awareness in your local community. Free member areas on your website are a great way to get more leads and position yourself as an expert. Members will be more aware of your offers and special occasions. Plus you can up sell them paid membership options later. Besides grabbing their attention, they will constantly be remembering you every time they use the product or service you gave them for free. Tip #2: Show your personality over the web: It is very important to show your unique personality while still giving the user exactly what they need to see. That will make them excited and once they know you in person, it will give them trust. Just be sure to label yourself as a PERSONAL TRAINER and not something silly like "Movement Therapist". Users land on your page looking for a PT and if they see something that's different, they may just hit the back button. Differentiate yourself on the About page or in person. Tip #3: Stay on brand: If you’re a pre and postnatal personal trainer, stick to your brand. It’s all too tempting when a client comes in and offers 3 months up front for a different service. Don’t become the jack of all trades. Tip #4: Capture leads: As you may know by now, there are so many ways to capture leads for your local business. Capture as many leads as possible by using as many lead generation techniques as possible. But remember to focus on the techniques that allow you to get high quality leads. Don’t be deceived by those crazy online services offering you thousands and millions of leads for $20 or $40 bucks. Those are not Quality Leads. For example, if you specialise in hypertrophy training, a lead magnet called "10 Fat Loss Tips isn't going to attract the right clients. Tip #5: Digital Banner Ads Work Locally: The Google+ display network allows local businesses to create banner ads and display them in community websites. These ads will not be displayed outside of a specific area. With Google AdWords PPC ads and Facebook ads you can target your local audience as well. It is less cost efficient but it can send great message to your audience. Tip #6: Think like the customers: Walking a little in your customer’s shoes will be one of the greatest things you will ever do for the success of your business. You must be a customer in order to really understand your business. Think what online tools you can create that may help your customers enjoy a lot more of your products and services: training, a complete updated blog, online support, even online purchases, which will be just amazing for them too. Tip #7: Be different and creative: People like new stuff. Sticking to the marketing basics will ALWAYS work but being unique will also bring its own great benefits. Of course don’t ignore the basic marketing strategies, but just try to add your personal touch to it, and also adapt it to your local customers. Tip #8: Build Links and Social Signals: When you build links to your website, remember natural links are the best kind of link. You can create a blog on your website and update it constantly. You can provide useful information to your audience and they will spread it for you. When your audiences share your information on Facebook and other social media, your information creates strong social signals and search engine love. Tip #9: Get personal: You can send personalized emails and messages to your potential and valued customers. You can post fun questions in the social networks which will make your followers talk about it - people love to respond. The Majority of customers respond to personalized content rather than non- personalized content. You should create relevant content that your audience is looking for and give them more of what they care about and less of what they don’t care about. Tip #10: Create a Mobile App: Everyone has a smartphone now! A mobile version of your website has never been more important. Most website builders and personal trainer website designers come with built in mobile functionality now but if your website doesn't have mobile capabilities, get them!